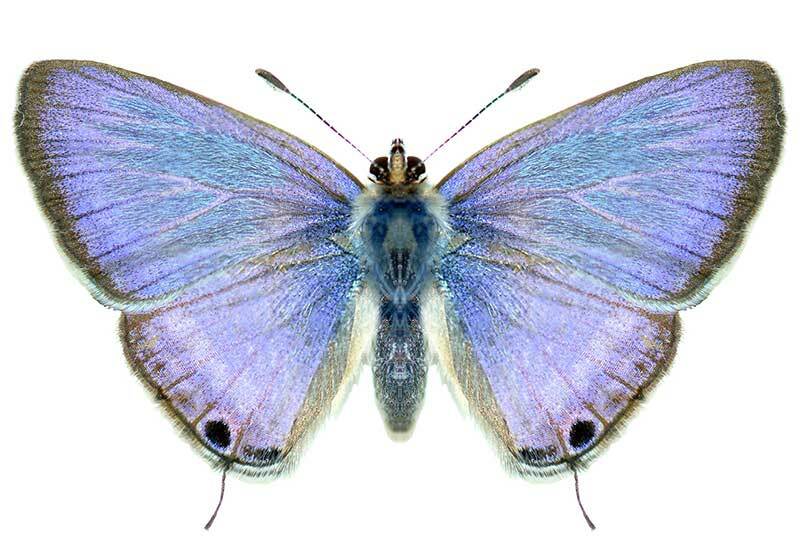 Insect follows Lycaenidae family, and Lepidoptera order. It is blue and brown, wing is 24-32 mm long. Larvas feed on flowers, seeds, and cores of many Leguminous plants.